Broken links refer to links on a web page that lead to a non-existent page, website, or image. 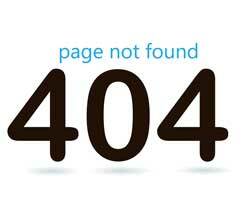 Visitors to your site will normally see the dreaded 404 error page when they click on a link that is broken. Broken links can be internal (within your website) or external (to another website). These types of disruptions are unpleasant, unprofessional and frustrating to website visitors and make the website appear as if it is not being maintained. "Link rot" is essentially the gradual process of external links on your website becoming broken due to changing content of the target website. A recent study showed that, on average, about one link out of every 200 disappears each week from the internet! Broken links can adversely affect your search engines ranking. This fact alone is a good enough reason to ensure that no links are broken or mistyped on your website. Broken links can cause a website’s reputation to be negatively impacted and by association, the brand, company, product as well. Broken links can turn a visitor away, reducing your traffic and your potential to gain business from your website. Big Sites Need to be Checked Often! In general, the more links you have on your website, both internal and external, the more often you should check the links on a regular basis. If you rely on website visitors to let you know about broken links - that is unlikely to happen. By the time you discover the broken link the damage to your traffic and reputation has already been done. 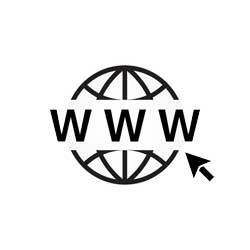 Regular website maintenance should include a check for broken links, especially after major upgrades/updates, quarterly or annually, depending on the size and complexity of your site and the frequency of changes made to the pages. Check with your developer to see if your hosting companies offers a “missing page” setting with a page that you can customize to your site’s design and write your own “Oops!” message for. How Can I Check the Links on My Website? Your web developer can easily check the link integrity of your website. Developers tend to have the tools and time to conduct the integrity check thoroughly and on a regular basis as a part of your website's regular maintenance schedule. Because it is important for websites to remain error free for both visitor experience and search engine rankings, it is important to ensure that link checks become a part of your website's annual maintenance. Also, there are free programs that anyone can use to conduct link checking on a site, as well as services that you can pay to check your links on a regular basis and send you a report when they find a broken link. A broken link report may also include search engine ranking, load times, time sensitive information, and email response times. In the global competitive environment, it is important that your website keeps the upper hand over your competitors. Call your web developer today to see if they are taking the necessary things to keep you ahead of your competition. W3C Link Checker - This is an example of a simple web-based link checker. Fighting Link Rot - An article about link rot from Jakob Nielsen, the world's most foremost expert on web usability. If you need help resolving link rot on your website, please Contact Us for professional web development assistance in Yakima!